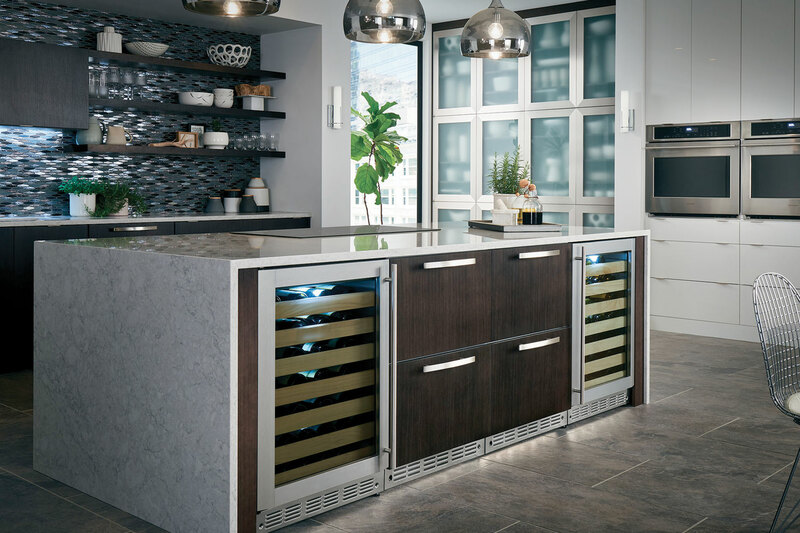 An exciting event for companies and individuals involved in the design world is the annual Kitchen & Bath Industry Show (KBIS), which was held in Las Vegas this year. In addition to introducing new Monogram products to designers in our own booth, we took the opportunity to check out other booths for trends, highlights, and new products. One product that we were very impressed with is the KOHLER Choreograph shower wall and accessory collection – which is a shower system that allows you to design a shower around your needs. This was a hot new item at KBIS 2015, and a brand new product offering by KOHLER. Typically, tub surrounds and one-piece shower systems tend to be basic and lack features. Thanks to KOHLER’s Choreograph collection, however, your shower can be customized to create a beautiful and well-organized system that works ideally for you. Choreograph still has the efficiencies and convenience of a one-piece shower surround – such as low daily maintenance because of the lack of grout lines to clean – yet in a much more stylized manner. With the many color patterns and designs available for the wall panels and accessories, it’s easy to create a shower that fits your functional and aesthetic requirements. A unique element of the Choreograph collection is the ability to select wall accessories (known as “lockers”) to accommodate the products your family uses regularly. With various sizes available, even the jumbo bottles now have a place in the shower! There are quite a few options for shelving and storage, and you can even create a shower system such that each family member has their own locker. In short, the KOHLER Choreograph shower wall and accessory collection is highly functional and high-style. The response in the booth was very positive and our friends at Kohler were kept busy providing overviews of the collection to groups of 25 designers, architects and builders at a time. Can’t wait to see what they show next year! 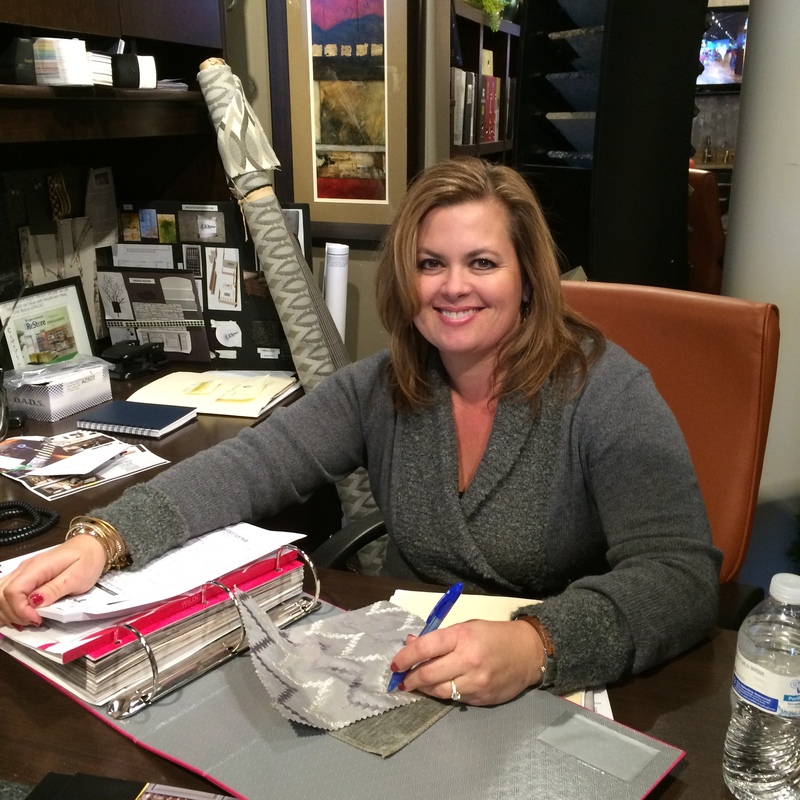 Today’s profile highlights Robin Burrill from Curb Appeal Renovations in Keller, Texas. Robin: I’ve been interested in design for what seems like my entire life. I knew in high school exactly what I was going to go to school for … and now just a “few” years later, I love what I do and wouldn’t change it. Robin: I love working with clients who are a joy to work with. We completed the third project for a couple last year and they are just great people. Working with people and seeing how we can transform their lives fulfills me. I love hearing how they’ve told friends and family about their projects. One homeowner would even Facetime with her family members all around the world to keep them up to date during their recent kitchen remodel! It was awesome to hear they enjoyed the experience that much, and to know we were the ones who were responsible! Robin: OLD WORLD … anything dark and heavy … and that includes any skip troweled textures with a faux finish! Robin: Less is more, cleaner lines. I love the trend towards more contemporary/transitional living and bringing old in with new! Robin: Pride. The pride that the GE employees take in their work. It shows from the minute you meet any of them. Even those on the factory lines. It’s refreshing! 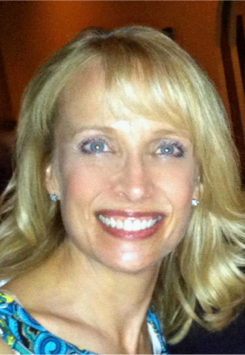 Today’s profile highlights Carrie Antonello from Tuscan Touch Designs in Raleigh, North Carolina. Carrie: I remember dreaming of having my own room as a kid – looking through magazines and redecorating it over and over in my mind. I loved imagining how fabrics, lighting, furniture and window treatments would look in ‘my room.’ So naturally, I became an engineer and went to work for GE Appliances. Wait, what now?! Well, I had other interests too. So interior design and decorating became more of a hobby while I built my career and learned from the masters at GE. Once my husband and I started a family, I took the leap and changed careers starting my own interior design business using my passions, talent and also my business experiences to create a successful and fun second career. Carrie: Recently I was asked by a new client to help turn her unfinished attic into a combination yoga studio and ballroom dance studio. Quite a challenge for sure! Yoga calls for calm, quiet, zen-like qualities. The colors should be soft subdued and the decor simple. Now, how can I add a disco ball to that and still make it work? Working together, the client and I came up with a few tricks that resulted in a zen experience by day, and with just a few changes of glitzy toss pillows, lighting and accessories, provided the welcoming, energized party space for couples to swing the night away! Carrie: I’m over or have never been a fan of the barnyard-animal decor in the kitchen. Chickens, cows and pigs may have their place in a recipe, but even with a cute chalk board in-hand, they just don’t belong on the countertop. Carrie: I’m enjoying the new colors in appliances. 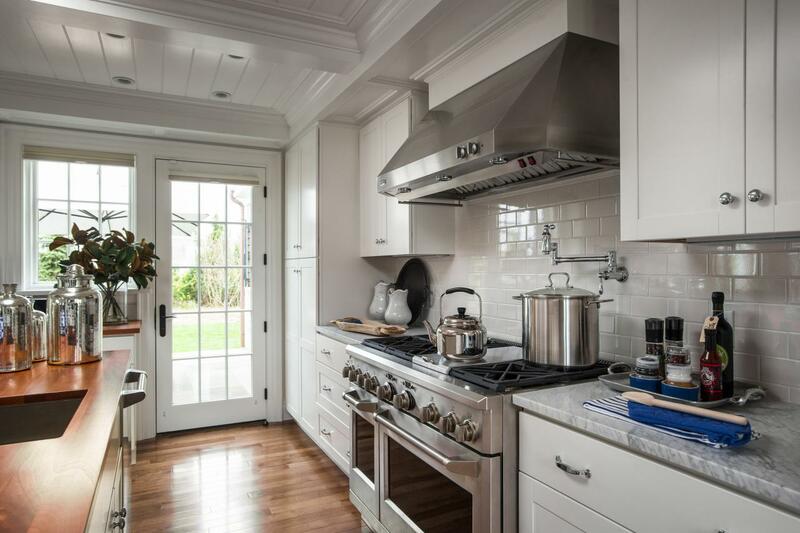 Stainless is still very strong in the market, but homeowners are warming up to other colors and that makes my job so much more interesting. Generally, I see homes getting softer and warmer. Colors are richer and deeper than they’ve been in the past. At the recent International Home Furnishing Market in High Point, North Carolina, I couldn’t keep my hands off of the textiles. Area rugs, bedding fabrics, draperies and upholstery will be so plush and soft when they hit the stores in 2015! Carrie: So, so much! The MEC is such a beautiful space that is conducive to learning AND experiencing. It was beneficial not only to use the appliances, but also to compare the Monogram brand to competitors’ appliances. When it’s time to specify appliances for my clients, I can tell them first-hand what my experiences have been and guide them through the brand decisions. Also, I loved seeing the new innovations in the Monogram line. Specifically, I was so impressed with the new Monogram Advantium wall-oven, that I replaced my own original 13-year old model with the new ZSC2201 shortly after returning to Raleigh. The addition of convection cooking, the added capacity and the storage drawer for trays were big selling points. But the real selling point for me, and for subsequent clients, is that the additional capacity and storage that the new speed-cooker offers, fits in the exact same cut-out as the old oven! So no reconfiguration is necessary and no valuable cabinet space is lost. I’ve converted quite a few homeowners to Advantium cooking! 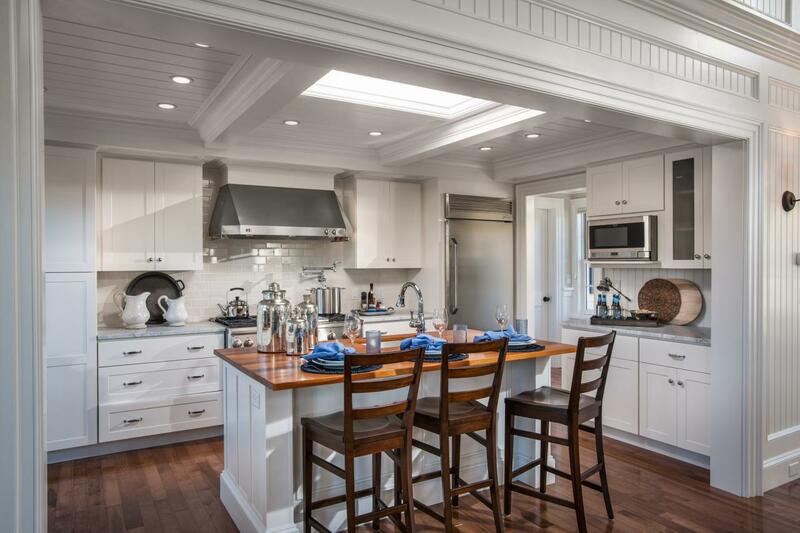 And once they’ve made that switch, selling the entire kitchen of Monogram just falls into place. Lastly, networking with other designers and professionals was priceless. I’m still in touch with so many wonderful people that I met during my week at the MEC. 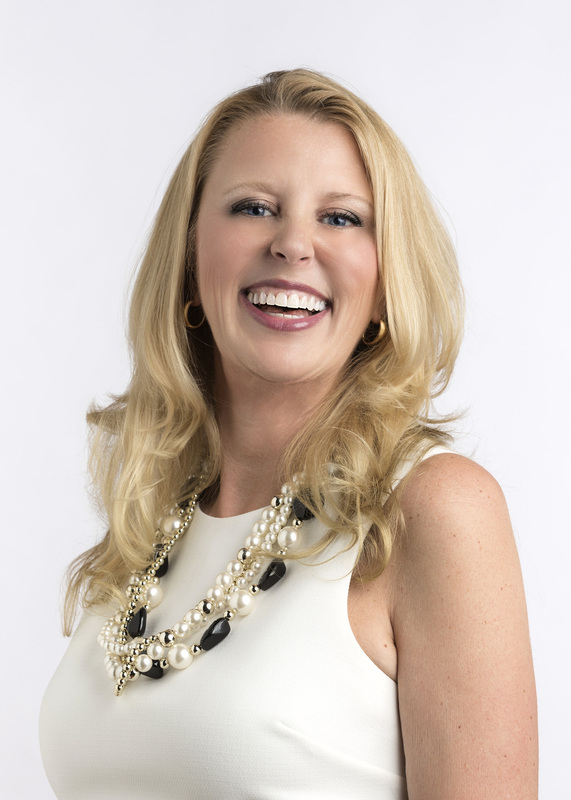 Today’s profile highlights Jessica Duce from Designers Touch in Omaha, Nebraska. Jessica: I know Chevron is great and fun, but I am tired of seeing it. And we need a burlap break. Jessica: I love the Pantone color of the year – Marsala. I gravitate to warm colors and even just a pop seems rich. Also, it reminds me of my wine roots growing up outside Napa, California. Jessica: Louisville was amazing. I feel a kinship like loyalty to the values and responsibility that GE holds and maintains. The integrity, creativity and dedication really impressed me.